BOYHOOD was named the best film of the year at today's BAFTA Awards, while The Grand Budapest Hotel took home the most gongs of the night. Boyhood, a film 12 years in the making, won three awards in total, while director/writer Wes Anderson's European romp The Grand Budapest Hotel won five awards including Best Original Screenplay. 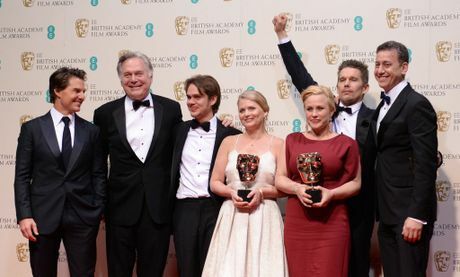 Tom Cruise was the surprise guest of the night and presented the British Academy of Film's top honour, the Best Film award, to the cast of Boyhood. "The truth is it didn't feel like a movie most of the time we were making it," star Ellar Coltrane said. "It felt like an exercise in collaboration and vulnerability. "The beautiful thing is I've learned is when you make yourself vulnerable you make everybody around you vulnerable as well." Julianne Moore and Eddie Redmayne continue to firm up as Oscars favourites for the Best Actor categories for their films Still Alice and The Theory of Everything. Both have already taken out Golden Globe and SAG Awards in recent months. "Film is a collaborative medium," Moore said. "The thing I value most about my job is my creative partnership with others." 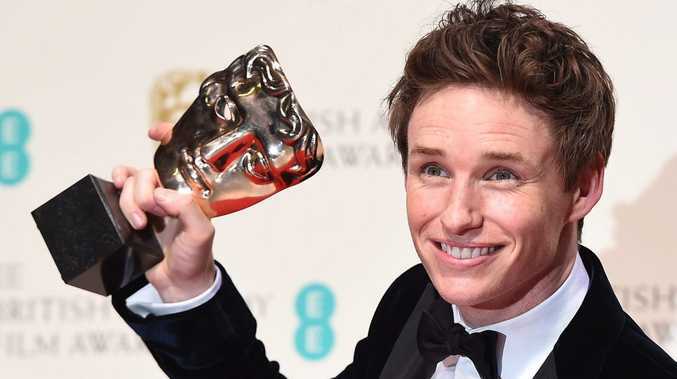 Redmayne recounted the last time he attended the BAFTAs when he had food poisoning. "I was seen to redecorate the corridor of the Royal Opera House," he said. "(That was) One of the worst nights of my life; this is one of the best nights of my life." Aussie Margot Robbie lost out on the EE Rising Star award, which went to Skins and Unbroken star Jack O'Connell. Australia did score a win with the Sydney animated and produced The Lego Movie, which was named Best Animated Film. 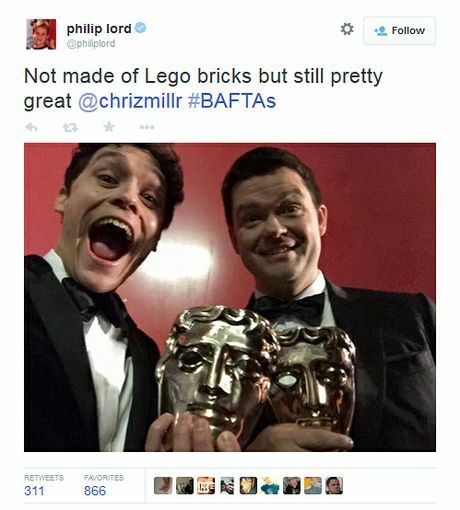 The Lego Movie director Phil Lord celebrates his BAFTA win. Stephen Fry presented the awards, which also included a tribute to late actor Lord Richard Attenborough.